2017 Inductees and Award Winners are in!! For More information follow the link below. Whenever you see a successful high school wrestling team, you will almost assuredly see a strong youth program working as a feeder system down below. The Mattanawcook Academy program is starting to reap the benefits of a strong youth program as members of the Little Lynx Wrestling Club are making noise on the varsity level this season. "When I first started seven years ago, it was like bare bones, nothing ... the Little Lynx had just started then and I knew patience was going to pay off and it really has," said Mattanawcook head coach Matt Lindsay. Lindsay, a former four-time state champ from Penobscot Valley, knows how important it is for the community to be invested in the program — especially when you're coaching at a school that graduates under 100 students each year. "You can see a community that kind of grew with the program to the point now where we've got tons of fans that follow us. We've got parents who don't even have kids wrestling that are at almost every match. The support that's coming through is fantastic," said Lindsay. Leading the charge this season for the Lynx is an impressive freshman class, including Jackson Sutherland, Alex Munson, Deegan Tidswell, Brody Smith and Pacey Clark. "It's a complete game changer," said Lindsay of the MA freshman class. Lindsay was quick to praise Little Lynx coach and new MA assistant Josh Sutherland for getting the freshmen prepared for the varsity level. "Josh did a phenomenal job bringing them up through, taking them out of state, giving them the tough competition. We can come to tournaments like Skowhegan and they're used to that atmosphere, they understand how it goes and the pressure doesn't really bother them," Lindsay said. Lindsay believes this young group can make some noise in the postseason — starting with 113-pounder Jackson Sutherland. "He's very dominant. He controls his (opponents) and he's just a student of wrestling," said Lindsay of the freshman standout. "He studies it. He follows it. He's into it. To have a kid like that on your team, the other kids feed off of it … Jackson's the real deal." The younger Sutherland, who enters the postseason as the favorite to win the 113-pound Class B state championship, has his sights set on competing with the best wrestlers in New England and the entire country. "Place at New Englands … and win states and All-States," said Sutherland of his goals. "That would be really big for the school. Another goal of mine would definitely be to place at freshman nationals." 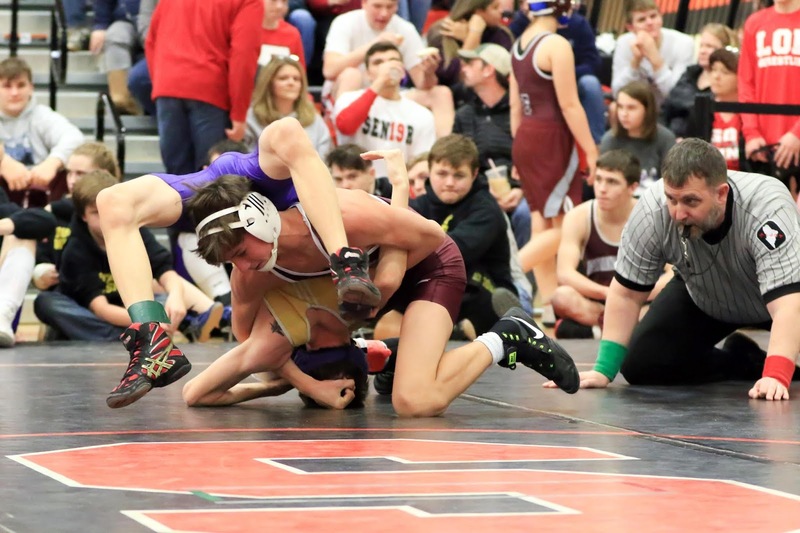 Sutherland, who is an honorable mention in the state's top 10 pound-for-pound rankings, has enjoyed the move from middle school to high school wrestling. "I like it. You can be a lot rougher with the kids and the refs are a little more lenient," said Sutherland. Munson will be another Lynx freshman to look out for in the postseason, but unlike Sutherland at 113, he is facing mostly upperclassmen at 195 pounds. "He's wrestled these kids that are older. He's wrestled kids that are stronger, so he understands and he's used to it. You've got a freshman at 195 pounds going against seniors who are basically men and it's just another day on the job for him. He goes out there, gives them what he's got and at the end of the day he does really well," said Lindsay of Munson. It's not just the freshman who are leading the way for MA as sophomore Travis Mushero, Jr. is also a wrestler on the rise in Class B. The 132-pounder has some lofty goals for his sophomore campaign. 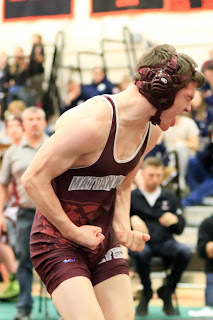 "My goal is to place at states this year because last year I broke my elbow (at states) … (I also want to) make it to New Englands," said Mushero. Mushero is happy the Lynx have been getting tough competition this year — including a trip to the Skowhegan Invitational. "It's really big. It's exciting. It's the first year we've ever come to (the Skowhegan) tournament. This is really big for us because it's one of the biggest tournaments we've ever been to," said Mushero. Lindsay agreed with his sophomore standout. "It's key. Without the tougher schedule, we would just stay stagnant and wrestle the same guys over and over. You don't get better by doing that. You've got to seek the good competition, go to them to elevate your level," Lindsay said. Lindsay believes his squad will make some noise at the Class B state tournament. "Given the numbers we have this year and the quality, I think our best showing will be at states because we've got our highest level wrestlers who will place high. We just don't have the numbers at the regional tournament to pull that off, but you get us in the state meet and I think that's where we'll really be able to step up our game and show what level we're able to achieve," Lindsay said. Lindsay is confident that the Lynx could make some history in the next couple seasons. "Over the next few years, absolutely, the goal with the freshman we have, (is to win a state team title.) We've got eight graders, seventh graders coming in. I don't think it's out of reach. We've got some things we've got to accomplish between now and then, but it's 100 percent doable,” said Lindsay. — Pat McDonald is the Sports Editor of the Journal Tribune in Biddeford as well as the Biddeford/Saco/OOB Courier, Kennebunk Post, Scarborough Leader and South Portland Sentry weekly papers. Pat is also a member of the Maine Amateur Wrestling Alliance Board of Directors. Brought to you by the MAWA Board of Directors +++ . Simple theme. Powered by Blogger.